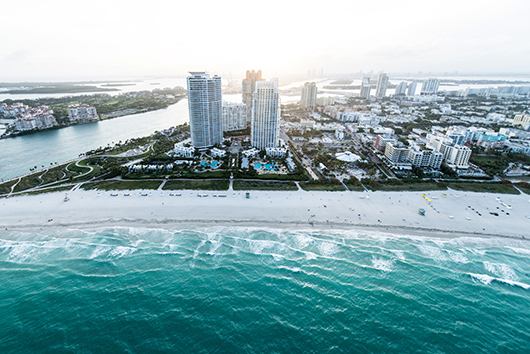 From our offices in Toronto, GAO RFID has been successfully deploying customized RFID solutions to clients across the Miami-Fort Lauderdale area. Known as the ‘The Gateway to the Americas’, the region of Miami-Fort Lauderdale has attracted both tourists and snowbirds alike. Ask any resident why they love it here, and you won’t be left wondering why so many people descend on this part of the United States. From the glorious stretch of coastline to sunny skies all year-round, South Florida is quite the gem. Both Broward and Dade counties are popular vacation destinations. Among the attractions are the Florida Everglades, Biscayne Bay and Miami Beach. And many cruise lines set sail for the Caribbean from this section of the Atlantic as well. GAO RFID Inc. is aware of Florida’s unique landscape. Our company has designed technologies that allow businesses in Miami-Fort Lauderdale to adapt to the demands of this busy region. RFID is used in a variety of areas, including event management and asset tracking. As such, GAO has developed RFID tags and readers that are customizable to your needs. From the lavish to the flamboyant, South Florida is also known for its parties and festivals. Whether it’s sports games, theater shows or musical concerts, the entertainment industry attracts millions of people each year. That’s why GAO’s Event Management System is the superior choice when it comes to crowd control. Our technology has been tested on some of North America’s biggest events — allowing us to perfect our software over time. Use this system to establish attendee registration, so you know what the demographics are ahead of time. Once the event gets underway, use our tag and reader systems to keep track of everything from guests to equipment. Used in conjunction with our other solutions (like the VIP Parking RFID System), even the largest events can be executed both smoothly and safely. 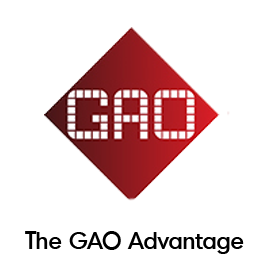 If you’re looking for RFID technologies to streamline your operations, contact GAO RFID for a personalized consultation. No project is too big (or too small) for our team of certified RFID professionals. We have served North America for nearly 10 years and are proud to represent the lively cities of Miami and Fort Lauderdale. 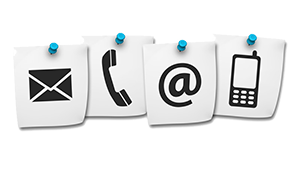 Discover how we can grow your business without sacrificing on customer service and efficiency. Bradford Marine offers six service locations with its main presence in Fort Lauderdale, FL and Freeport, Grand Bahama. Since 1966, the company has provided customers with the finest in quality service and sales at its impressive facilities. The offerings of Bradford Marine include yacht sales, yacht charter, yacht management, and full refit and repair services in the U.S. and the Bahamas. Learn how our RFID Systems can be used in the Boat Dealerships industry. New Route, Inc. is an export company selling laboratory equipments and supplies to Brazil. Founded in Miami in 1995, the company prides itself in their years of experience as providers of the highest-quality scientific products leading it to broaden its horizons to new products and services within the industry. Learn how our RFID Systems can be used in the Medical Devices, Equipment & Supplies industry. TSO Mobile is an innovative leader in Mobile Resource Management and logistics products and services. Established in 2002, TSO Mobile has a continuing striving record of providing cutting-edge web-based software solutions to commercial and consumer markets. TSO Mobile is an industry leader with key partnerships with manufacturers, digital cartographers, software developers, wireless data providers and product distributors. Learn how our RFID Systems can be used for Asset Tracking.